The 15th British Academy Game Awards is taking place this week. So we though it was a perfect moment for us to speak to the BAFTA team about the way the organisation recognises video games in its awards, how that’s changed over time and what’s coming next. Kelly Smith, BAFTA’s Head of Games, is responsible for guiding the game awards, associated games schemes such as BAFTA crew and its Young Game Designer programme and is leading BAFTA’s increasingly global work. Despite being in the middle of awards work, Kelly took time out from her week to talk me through all the above and much more. George Osborn: Can you tell me about how you started working with BAFTA? Kelly Smith: I’m celebrating 20 years at BAFTA this year after joining in 1999. I came into the organisation straight from university. I literally graduated from university, started working across both he film and TV awards and gradually began to work my way up the organisation to the role I’m in today. GO: When you first joined BAFTA, how close was it with the video games industry? KS: When I first joined, we really weren’t a games organisation. In 1998-2003, we took a light touch on video games content as it was part of a wider interactive entertainment awards. But in 2004, we changed approach and split the interactive entertainment and game awards into separate awards. Our chair at the time determined that games had to become the third pillar of the organisation and by 2006 the game awards had become established within the organisation. GO: What precipitated this change in approach? KS: It was the recognition that games are an art form built for video and screen. The organisation is always looking forward and trying to stay on top of the changing industry and creative landscape. As the art form of games and storytelling became increasingly importance, we had the chance to recognise that and ensure that their contribution to our culture was properly acknowledged. Importantly, we also make sure that we do what we can to make sure we keep up with the industry. We will have big reviews every five years to make sure we’re fulfilling the needs of film, TV and games. This ensures that we keep up with where the industry is going. GO: Since the awards started, BAFTA has recognised hundreds of video games with either awards or nominations. What kind of impact do you think the awards have on the industry? KS: I think it’s really important for us to have recognised games through the awards. BAFTA is known principally for the film awards, but there is 99% recognition of what the BAFTA brand means outside of it. For our games winners, we hope that they’re able to benefit from the credibility of the BAFTA mask. It provides more recognition and understanding for the industry and for the types of games that are out there. In particular, we’re able to show that the industry is not about ‘box office figures’ any more. Our aim has been to celebrate the craft of the games showcased and that has helped guide the evolution of the awards. For example, in 2004 and 2005 the awards were focused more on rewarding games based on different consoles [the awards for those years featured awards for best Xbox game and best Game Boy Advance game as examples]. Now though, we focus much more on the specific craft and design of games such as narrative, audio and artistic achievement. This helps us to celebrate the evolving of the art form more effectively. GO: Alongside these awards for the craft of games, there are also newer awards such as the Beyond Entertainment award that celebrates titles with important messages. How does this fit in with BAFTAs wider aims for the game awards? KS: Games beyond entertainment was a really important moment for us and for the way we cover games. Even today, people still come up to me and say oh you just shoot things up in them” and nothing more. But we wanted to show that simply isn’t the case. We wanted to show everyone the way that games help people through the challenges in their lives, whether it’s to do with helping them through tough times, battling with mental health problems or representing complex issues sensitively. Games are engaging entertainment and we wanted to show how they can deal with these challenges effectively. 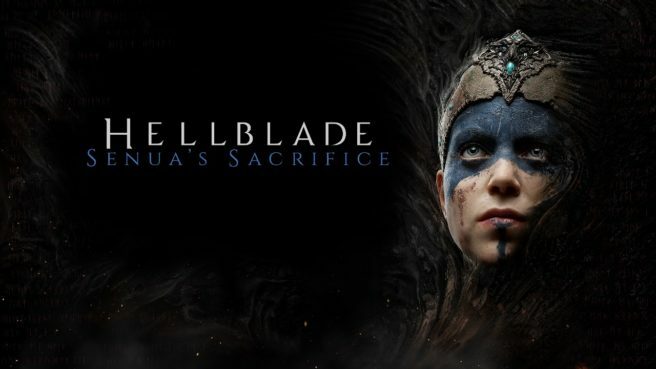 Hellblade won the first Beyond Entertainment BAFTA game award in 2018. We also wanted to make sure that we were able to tell interesting stories to our wider audience as well. Our film and television audience has seen the headlines in papers saying “games are linked to this”, so we want to tell the human interest stories that go beyond games to give a wider understanding of what the form is able to achieve. GO: Alongside the evolution of the awards, BAFTA has also been evolving schemes like Young Game Designer and BAFTA Crew to support the industry. Why has it done so and what kind of impact do you believe it has? KS: As BAFTA is a charity, the awards act as a shop window for our wider work supporting the industry. This allows us to develop the new talent programme, which is vital to us and which we hope gives a lot of opportunities to new people to come into the industry. I think that the Young Game Designer programme in particular has gone from strength to strength. As well as the public awards, weve been able to develop great curriculum packs to help educate children about the process of making video games. Best of all, these opportunities are open to everyone. If you win a Young Game Designer award, you don’t just get a prize. You get a year round mentoring programme to give you advice on what to do next and get to talk to our other groups – like the BAFTA Breakthrough Brits – to help further. Our aim for the next generation of talent is to support them and encourage the industry to support them back. That’s why we spend the time supporting these programmes to ensure we meet the needs of talent coming through the pipeline. GO: Finally, what’s next for BAFTA and the game awards? Where is it focusing in the future? KS: We’re really pushing BAFTA games in terms of a global audience and championing our talent over here abroad. We’re focusing on a programme that celebrates our talent at key events around the world. At GDC, we had a breakfast to allow people to meet creators associated with BAFTA. And at E3, we’re going to have a special award to promote our work. One of our other big efforts is focused on our immersive group. We’ve seen virtual and augmented reality games already receive nominations for awards within BAFTA games but we’re exploring immersive content across sectors to see where it goes next. Whatever we do next, it’s about making sure that as we move forward that we continue to develop new talent, shine a spotlight on them and make sure we take stock of our industry as it evolves. This will help us to do what we can to keep supporting the industry in the future. The BAFTA Game Awards take place on the evening of Thursday 4th April. You can watch the awards live here. Eurogamer's 20th Birthday: Oli Welsh, Editor in Chief, on the history of the site, the evolution of EGX and the changing nature of video game journalism.